Retail-related activities generate a lot of information. However, reporting for retail audits and merchandising can be quite intimidating, and reading through sheets and sheets of data is hardly an effective way to pinpoint in-store issues that might be affecting retail sales. In that scenario, important issues such as frequent out-of-stocks can get lost within the large amount of information coming from different reps and locations. Therefore, for retail businesses such as CPG manufacturers and sales and marketing agencies, it is imperative to have an effective system in reporting for retail audits and merchandising in addition to data collection. Reporting for retail audits and merchandising can be a powerful tool for any sales organization that wish to have a thorough understanding of their retail channels. Mobile data collection in Apple and Android smartphones and tablets, with full online/offline capabilities. Full customization of in-store instructions, checklists, and forms, allowing managers to create not only mission-type activities – such as setting up displays, performing audits or customer surveys – but also ad-hoc tasks for mission-critical scenarios, as in the case of out-of-stocks or damaged products. Real-time field activity tracking with map-based dashboards, GPS verification of visits, and instant notification of specific activities. 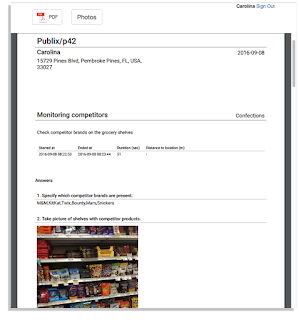 Advanced reporting for retail audits and merchandising activities, with straightforward data filtering options that deliver targeted reports in seconds and produce instant PDF documents for viewing and sharing. 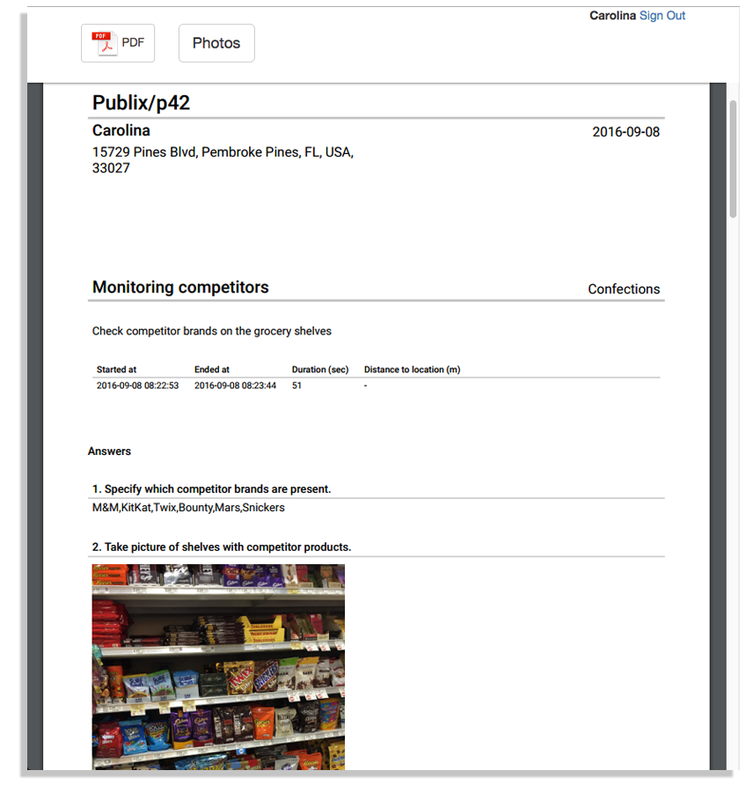 Learn more how VisitBasis can improve your reporting for retail audits and merchandising: sign up for a free trial at www.visitbasis.com or request an online demo!